We pride ourselves on our quality of professionalism and experience. 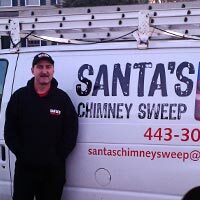 We offer a variety of chimney services, from our 21 point chimney inspection and chimney sweeping, to all options of relining and restorations of chimneys. We have the experience to get the job done in a prompt and professional manner and we are proud to serve our Maryland customers in Anne Arundel, Howard, Queen Anne, and parts of Baltimore Counties. We know you have several chimney companies to pick from, so we thank you for taking the time to look at our website. If there is anything we can do for you, please give us a call!